SCMP: "The government has told Beijing more than half the Hong Kong people want universal suffrage by 2012 but that delaying its introduction until 2017 was more likely to win the support of a majority in the city. 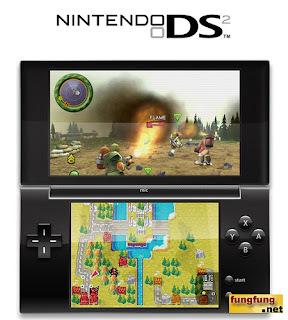 It was also more likely to receive the necessary support in the Legislative Council, the chief secretary Donald Tsang said......"
FF: "Well, I think 2022 is more likely to win the support of majority in HK, hahaha~"
TechEBlog: "Though Nintendo hasn't made an official announcement, this Nintendo DS 2 mockup by Jesus Diaz definitely looks very sleek, and the color should be black, getting back to the old-style Nintendo GameWatch two-color scheme but updated to 2008. On the top part, the new 3.5-inch widescreen-capable to display both games and movies played from the SD flash card- will maintain the quality of the current version but with a slightly higher resolution (480 x 272)"
FF: "Lovely, a MUST have gadget"
crave: "HK Football Association, take note: If you want the sport to be as popular here as it is in the rest of the world, start marketing more products like this. 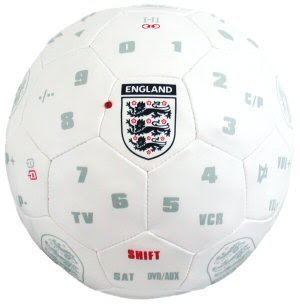 We know as much about futbol as we do about figure skating, but we'd be the first in line to get one of these soccer ball remotes that are sold in the U.K. And it can actually be used as a ball to play with, according to Gizmodo, though we wouldn't recommend that if it was the only remote in the house. 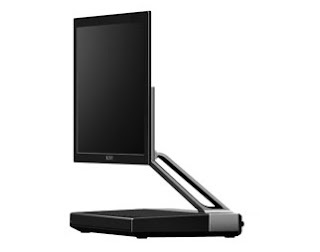 It supposedly can be used for all brands of various devices, including TVs, DVD players, and satellite boxes. The ball has a range of 7.6 meters, or about 25 feet to us Yanks--but, as the product listing says, "you can kick it much farther." FF: "Yes, HKFA sud marketing more products like that, its fun~ hahaha~"
icBirmingham: "Aston University has unveiled a new brand to help it to compete better in the increasingly competitive higher education market. The change will see the university's new logo - an orange triangle representing the shape of the campus - on buildings, signs and stationery at the city centre site later this month. The rebranding exercise cost Aston a reported £65,000. But it stressed the change would not be paid for from teaching or research funds, as it was part of the university's business plan. With universities battling for students and funding, vice chancellor Professor Julia King said a new brand had always been a priority for her since she started at Aston last year. The new logo, which was designed with the help of leading London image company Spencer Dubois, will first be seen later this month, and will eventually be introduced across the whole campus. A university spokesman defended the cost of the rebranding exercise and said there were very sound business reasons for the amount of money and research that had gone into it. "A project of this nature is a massive undertaking," he said. 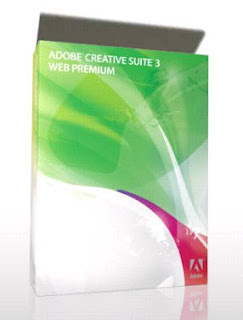 "It is time-consuming, complex and due to the subjective nature of design, sometimes controversial. 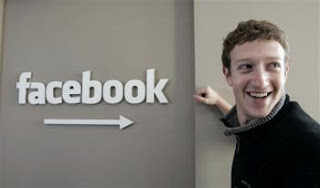 "But we identified five very good reasons why we needed to create a new brand and why we settled on the final designs. "Firstly, Aston University's new strategy provides a very clear set of objectives, challenges and targets up to 2012 and many of these rely heavily on us having a strong reputation, a high profile and a solid brand identity which will continue to take us forward. "It is also vital that Aston has a brand that is flexible and can be adapted for the diverse audiences we need to attract regionally, nationally and internationally. "We need to respond to changes in the higher education sector too, we need to show we offer value for money to our students first and foremost but also increasingly to our corporate partners as well. "As we operate in what is a rapidly changing environment, Aston needs to be able to anticipate future changes and ensure our continued success. "Finally, and most fundamentally, we must have a brand that reflects the personality, values and aspirations of Aston, from the logo to the key messages we tell people about the university. Most people would agree that the previous identity did not reflect Aston's dynamic, progressive, modern attitude and so it is only right that we took the opportunity to update our 'look'." Graham Hooley, the senior pro-vice-chancellor at Aston and a professor of marketing, said the rebranding was crucial in a sector as competitive as higher education. Aston's profile," he said. "A good brand defines what that organisation is and what it wants to be. It does so visually, but more than that it lays out a set of values for us all to follow, in the way we work and interact with our contacts." Aston University was founded in 1895 as Birmingham Municipal Technical School. 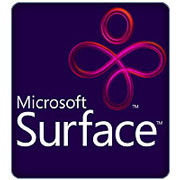 It changed its name when it was given university status in 1966, but kept a strong focus on technology-related courses. It was ranked 13th on this year's Good University Guide league table, 20 places above Birmingham University. Its decision to rebrand itself comes at a time when universities across the region are looking at ways to improve their image to attract in lucrative students. Last month the Perry Barr-based University of Central England became Birmingham City University in a £200,000 rebranding exercised designed to link it more closely to the city's image." FF: "They should give me a call... I can help them to design for FREE, :P"
Engadget: "If you're still teetering on the edge of picking up a DS Lite for yourself, here's yet another reason to go ahead and pull the trigger. Dai Nippon Printing has partnered with AM3 in order to offer up a new way to get content / media onto Nintendo's handheld. 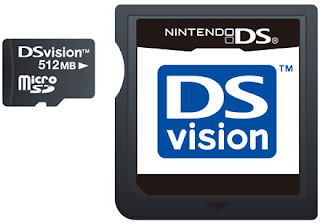 The system, dubbed DSvision, will enable DS / DS Lite owners to purchase a variety of material through the web, including books, comics, movies, music, etc., and then transfer the files over to the DS for on-the-go enjoyment. The product package will reportedly include a 512MB microSD card, a DS cartridge adapter and a USB adapter (shown after the jump) for use with one's PC. It looks as though the hardware will hit Japanese shelves in January for ¥3,980 ($37), but the web-based content delivery system won't go live until March." YankoDesign: "This fun creation is by Clement Eloy, and it is called SamePaperPlayAgain. 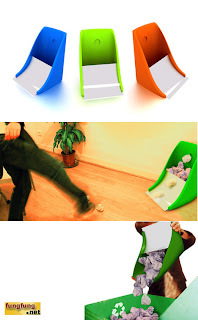 Designed to encourage recycling, all the while adding a bit of excitement to the office. Available in blue, green and orange, this trash bin will add vibrancy to any office space. So go on and get your teams together for a little football or basketball competition. 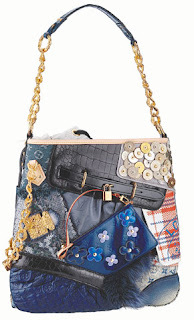 Once the bin is full, just empty it out into the recycling bin and let the games begin again." Engadget: "We've seen a couple innovative wind power solutions pop up, but none that claim to offer the benefits of maglev wind turbines, which use full-permanent magnets to nearly eliminate friction by "floating" the blades above the base. According to developers, the technology is capable of scaling to massive sizes, with a proposed $53M turbine able enough to replace 1000 traditional windmills and power 750 thousand homes. Additional benefits include the ability to generate power with winds as slow as three miles per hour, operational costs some 50 percent cheaper than windmills, and an estimated lifespan of 500 years. That all sounds great, but the real proof will come when these things get put to use, which may happen sooner than you'd think: Development is proceeding rapidly in both the US and China, with Chinese power company Zhongke Hengyuan Energy Technology currently building a $5M factory to produce the turbines in capacities from 400 to 5,000 watts." 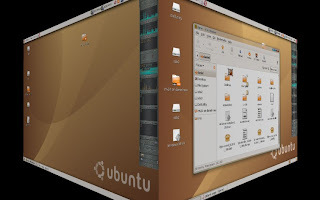 FF: "Nice, let's build this in HK :P"
From what we can tell, the OS is as comfortable on larger, VGA devices as it is on more traditional smartphone layouts. Oh yeah... and it plays Quake. Below you can see an alternate fullscreen version of the phone (a hardware reference model, not a device you can expect to buy anytime soon) up and running its browser app. Check the video as follow for a real look at Android in action"
FF: "GPhone's system, lovely~ im so excitin now :D"
Bloomberg: "Batman ventures out of Gotham City this weekend and swoops into Hong Kong where he will fight evil near the bar district of Lan Kwai Fong and against the city's neon-lit skyline -- though he will avoid a dunking in the harbor. Actors Christian Bale and Morgan Freeman arrived in the southern Chinese city this week with the crew and executives of ``The Dark Knight,'' the sixth film in the latest saga of the Caped Crusader. The four-day filming in Hong Kong is one of several location shoots that may include London and Los Angeles. The movie is scheduled for summer release in the U.S.
Bale, 33, said reprising his role as Batman will entail ``climbing the tallest buildings and jumping off them'' during his Hong Kong stay. 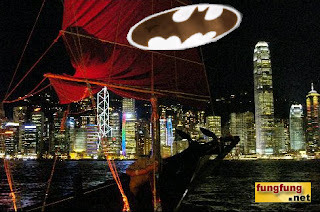 Producers decided to ax a scene where Batman drops into the harbor after test samples showed strains of salmonella and tuberculosis, the South China Morning Post, a local English- language daily, reported. Director Christopher Nolan said the decision not to proceed with the scene was his and had nothing to do with pollution. ``It's simply a script decision,'' said Nolan, at a press conference. ``As far as any pollution questions go, I have absolutely no problem with dumping'' the stars into the harbor. Hong Kong's Victoria Harbor is one of the world's busiest container ports. It's flanked on both sides by skyscrapers such as the I.M. Pei-designed Bank of China Building. Areas around Queen's Road Central, Lyndhurst Terrace and the Mid-Levels' escalator, the world's longest outdoor covered escalator, may also be used as settings for some scenes, according to the Post. Ponnie Leung, a Hong Kong-based spokeswoman of distributor Warner Bros. Pictures, said she doesn't know the film's Hong Kong schedule. The production team drew the ire of environmental groups for asking tenants along a waterfront to keep their lights on all night during the shoot to illuminate the city's skyline, according to the Associated Press. 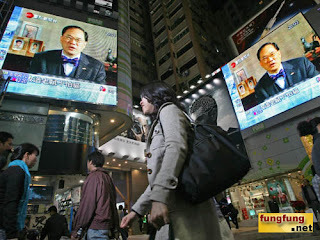 Hong Kong has an active tabloid press that's known to hound celebrities for photos and interviews. Nolan, 37, who's also writing the screenplay, said he thought of working Hong Kong into the script after a brief stay in the city. In 2005, Nolan directed ``Batman Begins,'' which traces the superhero's beginnings and grossed $372 million at the box office, twice its production cost, according to BoxOfficeMojo. Hong Kong is encouraging location filming by foreign studios to boost its movie industry. Until recently, piracy and Hollywood blockbusters had all but decimated an industry that produced stars like Bruce Lee and Jackie Chan. 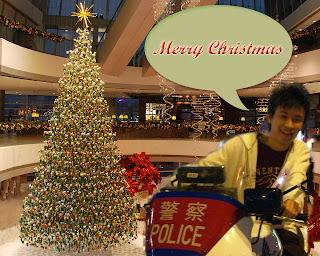 The movie ``will enhance Hong Kong's status internationally and promote tourism,'' said the Film Development Council's So. The production company spent about a year working with the government to arrange the shoot, said Producer Charles Roven. The city has featured in movies including the 2002 James Bond movie ``Die Another Day,'' where the fictional super-spy 007 enters the Royal Hong Kong Yacht Club after escaping from a villain. " 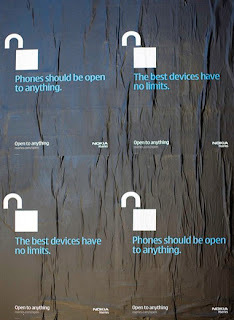 InfoSync: "With dedicated music and gaming keys, 3.5 mm headphone connector and 3G and Wi-Fi connectivity, the Nokia N81 multimedia phone is the closest we get to innovation in Nokia's new multimedia phone lineup. With a sleek surface and keys that light up when you activate them, we wonder if the exterior is also truly optimized for gaming, which it will have to be to succeed as a gaming phone. 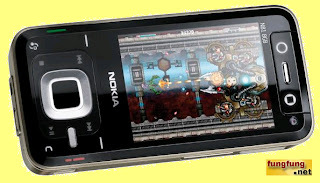 We'll definitely need to perform a few serious gaming sessions on the N81 before judging its capabilities as a gaming phone. 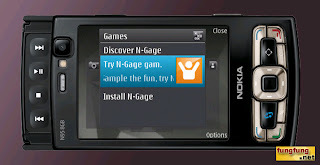 Anyway, the N81 also offers a fancy menu with 3D icons, as well as music and game downloads from Nokia's Music Store and N-Gage games service. The Nokia N81 will retail for approximately $450 and should hit shelves late this year. " FF: "More colours? comes in white?" 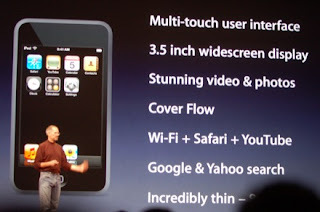 InfoSync: "As a multimedia smartphone, the Nokia N95 is no longer the star when it comes to the multimedia aspect. What keeps it on the top is its great calling and messaging performance. Nokia tries to do something about that by introducing an upgraded version, offering 8GB of built-in memory and a 2.8" QVGA display. In our opinion, these minor upgrades aren't enough to keep players such as HTC and Apple on a distance moving forward. 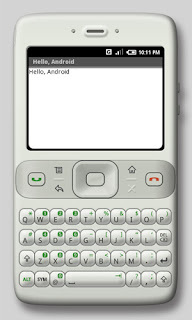 For those looking to buy the upgraded N95, it'll retail for approximately $550 in the fourth quarter of 2007." 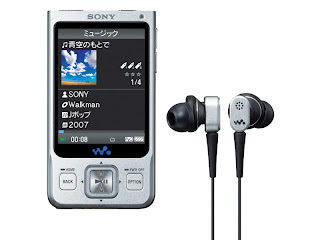 Sony Walkman NW-A808, NW-A806, NW-A805: "Sony launched in Hong Kong its new flash Network Walkman NW-A808, NW-A806, NW-A805. 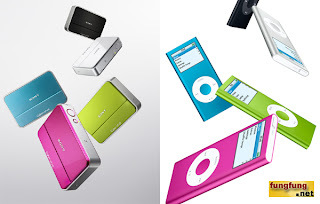 Actually they are the same except that NW-A808 has 8GB capacity, NW-A806 has 4GB and NW-A805 has 2GB. They all feature a 2-inch QVGA LCD screen with 240×320 resolution, “Clear Stereo, Clear Bass & DSEE sound enhancement systems and EX-type headphones for superb sound quality”. 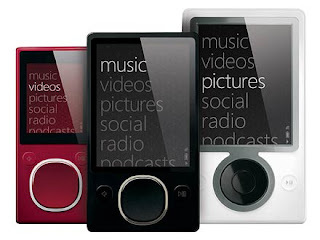 They can play MP3, ATRAC3, ATRAC3plus music and MPEG4 video. 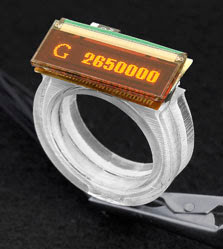 They measure 43.8×88x9.1mm and weight 53g." 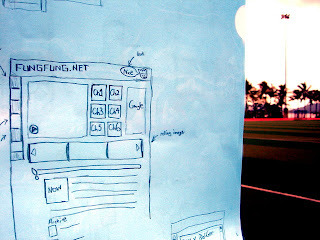 FF: "Yo, I want one, A MUST BUY"
TECH.BLORGE.com: "Nokia and Youtube have worked out a deal that will let Nokia’s N-series of Internet capable phones to access the YouTube Mobile website (coming soon), through the Nokia Web Browser. 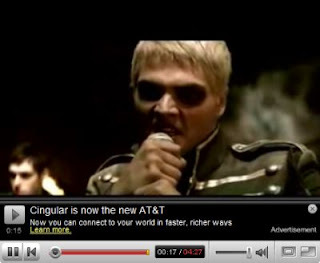 The N-series phones will support YouTube RSS feeds; allowing you to view such feeds as the most recent or highest rated videos on the system, or specific RSS feeds modeled around a certain genre. 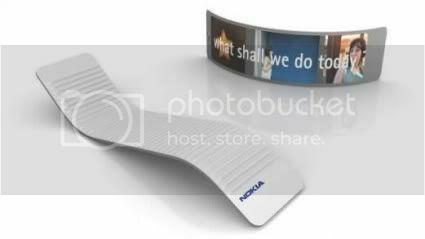 The RSS feeds will be accessible through the new Nokia Video Center which will be available for download on compatible Nokia S60 devices, and will come pre-installed on the Nokia N95 and many other N-series phones hereafter." FF: "Wow, I can watch Youtube on my cell phone, kool~"
Doggy treadmill gets your pup in shape - Engadget: "For those of you out there whipping your offspring into shape by utilizing the Step2Play middleman, and burning your own fair share of calories on the GameRunner, it's about time Rover joined the fray, eh? The Dog Walker treadmill helps prevent doggy obesity and apparently relieves the dog's stress, all while helping it to exert all that pent-up energy from being cramped up in the house all day. Aside from sporting a smaller, dog-friendly design, casters to enable easy transport, and two side shields to prevent minor tumbling disasters, the machine also sports a safety leash which prevents the pup from sliding off the rear (or giving up on the goal) and a devilish remote control to vary the speed from 0 to 5-kilometers per hour (3.1 mph). So if you're tired of Fido's stomach dragging the ground while crawling around in misery, you can pick up its very own treadmill (to go along with that recently-purchased pedometer) for ¥15,800 ($131)." FF: " so funny "
Microsoft Windows Vista Ultimate Limited Numbered Signature Edition (seriously) - Engadget: "You have to be seriously freaking into Vista if you're even thinking about the Microsoft Windows Vista Ultimate Limited Numbered Signature Edition (seriously, we didn't even think Microsoft was capable of a title like that), but at least the price is on target ($259) and they claim it's signed by the man himself, Billy G. Something tells us it's just an embossed signature print or something along those lines, but either way it's down to you and 19,999 others prepared to get their fanboy on with the latest, greatest version of Windows." FF: "I want a new laptop"